Troy Bayliss’ goal for Race 3 at The Bend was to win. 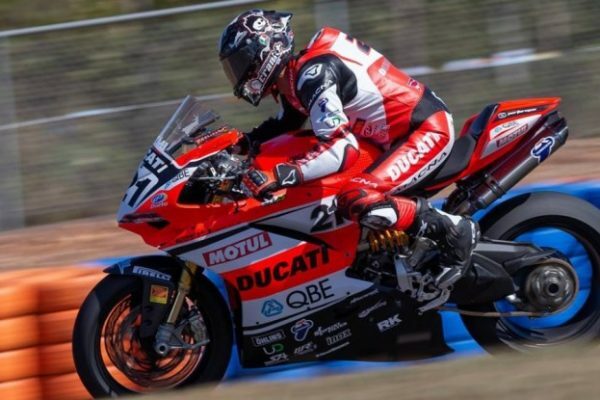 But the three times World Superbike Champion, 49 years of age, had a high-speed crash while he was fighting for the victory. A crash he fortunately escaped uninjured. Due to Troy’s crash, the race was definitely stopped with red flag and the win went to Troy Herfoss (Honda), who consolidated his leading position in the championship standings. Here below you can watch the highlights and Bayliss’ crash. Bayliss, who decided to come back to racing after a ten-year break, fought for the win in Race 1 and he finally ranked second behind Wayne Maxwell. In Race 2, instead, he finished in sixth place because of grip issues, while Troy Herfoss won and was joined on the podium by Brian Staring (Kawasaki) and Maxwell. 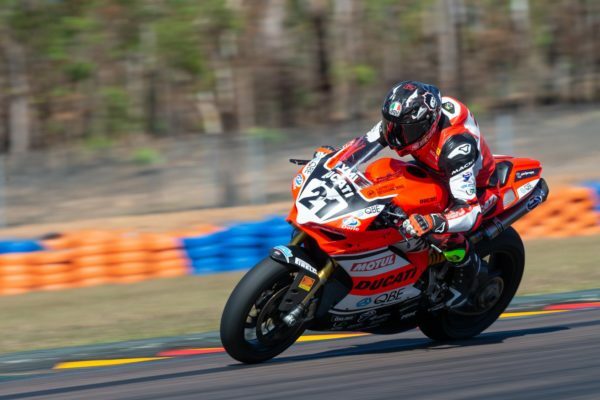 The next ASBK round is scheduled at Darwin on 1st July. RACE 2 RESULTS: 1. Herfoss (Honda); 2. Staring (Kawasaki) +0″220; 3. Maxwell (Yamaha) +3″411; 4. Allerton (BMW) +9″245; 5. Falzon (Yamaha) +10″130; 6. 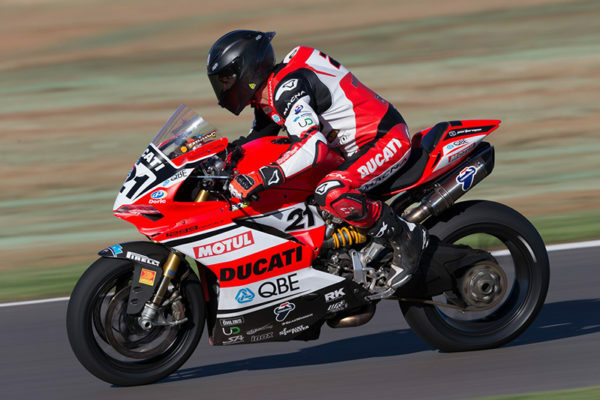 Bayliss (Ducati) +10″147. RACE 3 RESULTS: 1. Herfoss (Honda); 2. Falzon (Yamaha) +0″174; 3. Maxwell (Yamaha) +0″431; 4. Staring (Kawasaki) +5″111; 5. Allerton (BMW) +6″010; 6. Waters (Suzuki) +6″349. CHAMPIONSHIP STANDINGS after three rounds: 1. Herfoss (Honda) 173 points; 2. Maxwell (Yamaha) 150; 3. Falzon (Yamaha) 134; 4. Waters (Suzuki) 126; 5. Bayliss (Ducati) 117; 6. Staring (Kawasaki) 113.